Design Team Member Donna Mikasa found Tammie via Pinterest and enjoyed checking out a lot of her projects. Donna says, "Tammie Edgerton has mad coloring skills!" Tammie turned the bears from the Birthday Bears stamp set into Polar Bears with her coloring. They sure look cold but super cute! 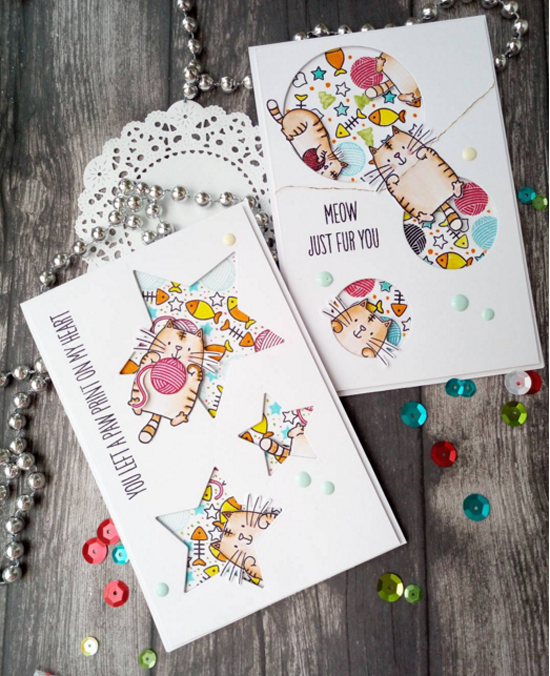 MFT Graphics Guru Laina Lamb spotted this pair of adorable cards on Instagram following #mftstamps. 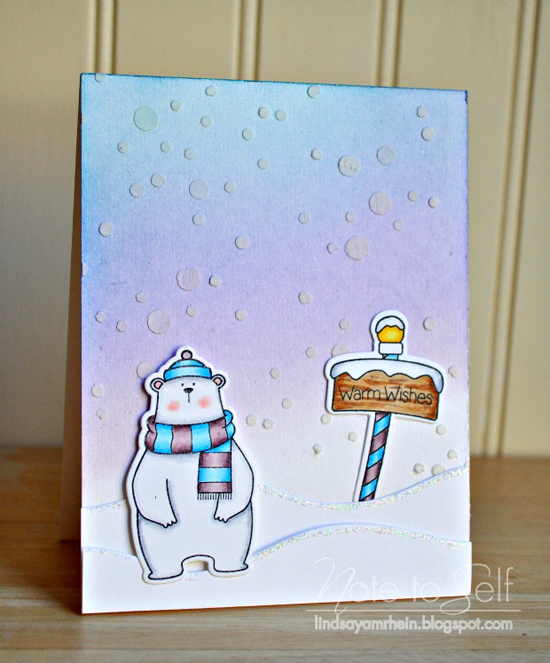 Yulianna created these colorful and whimsical cards using the I Knead You stamp set. I love how she created windows with circle and star Die-namics. So FUN! Design Team Member Kay Miller spotted Lindsay's card on her blog. Kay says, "I love the blended sky with the embossed snowflakes!" Lindsay used the Cool Day stamp set as the focal point of the card, but the embossing paste snowy sky and blended inks make this card quite a stand out! Bravo, Lindsay! 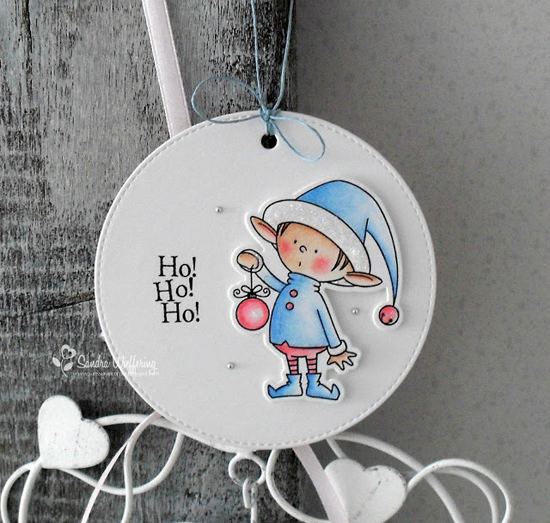 "What a creative Christmas scene created with the Santa's Elves stamp set!" The elves are awfully cute, but Crystal proves that the rest of the set is just as awesome with this colorful scene. 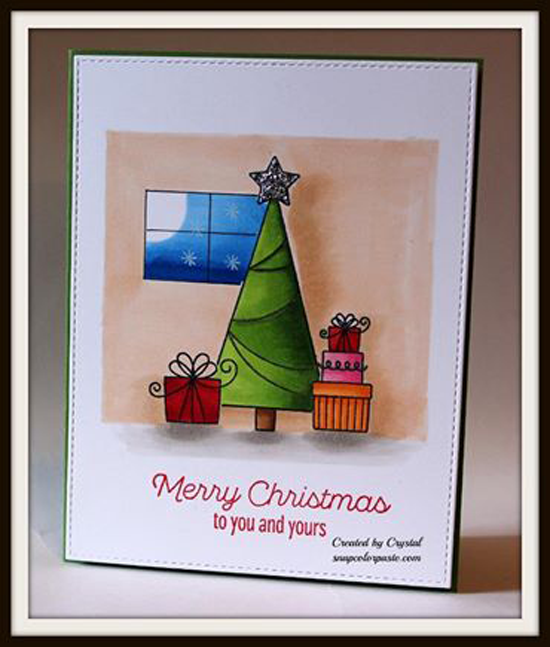 Crystal also incorporated a sentiment from the Trim the Tree stamp set to give the card a chic design. 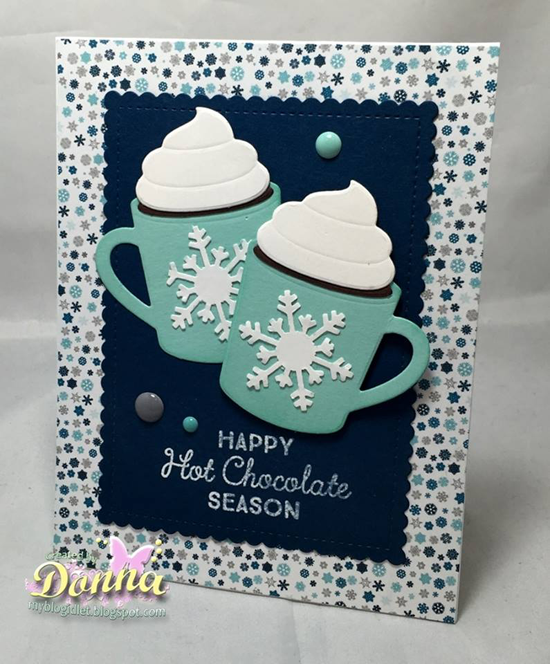 I spotted Donna's card in our MFT Challenge Blog Facebook Group (join us, if you haven't already!). I just LOVE her jaunty mugs created using the Hot Cocoa Cups Die-namics and the Hug in a Mug stamp set has the perfect sentiment to go with them. Her color choices are spot on for this time of year, too! Thanks for using MFT, ladies! You've left us inspired, and that's what it's all about! See you tomorrow for the final Sketch Challenge of 2015, and look for a the first new MFT Color Challenge of 2016 on Thursday, January 14th! These are all so fabulous, congrats on being spotted everyone!!! Thank you! It was wonderful - see my work on your blog!